The South East Economic Monitor is an independent report from School of Business lecturers and highlights the economic priorities for the South East. Read the South East Economic Monitor, a one-stop overview of key economic data. It gives a concise and accessible snapshot of how the counties Carlow, Kilkenny, South Tipperary, Waterford, and Wexford are performing and highlights the economic priorities for the South East. Published in June 2016, the report highlights the two trends that shape the South East’s economy- the impact of the great national economic recession and recovery; which temporarily hid the longstanding economic malaise across the region. The report illustrates a region struggling to transition to a knowledge economy, built on high-quality jobs. Unemployment in South East is at crisis levels and rising (by 0.6% to 12.5% in Q1 2016); against the downward national trend (8.4%; down .02%); the South East has experienced an employment crisis since 2002. The quality of employment in the South East is dramatically lower than the national average, and continues to decline. The report makes two significant claims as to why the South East's economy is struggling. Lower educational attainment, a problem built up over a long-term by lower investment in higher education. The South East is missing 7,260 higher education places. Lower activity by the IDA in the region over the past 25 years; the South East is missing 6,312 IDA supported jobs. Bright spots include the modest long-run improvements in unemployment rates, an improving property market and buoyant new car sales. 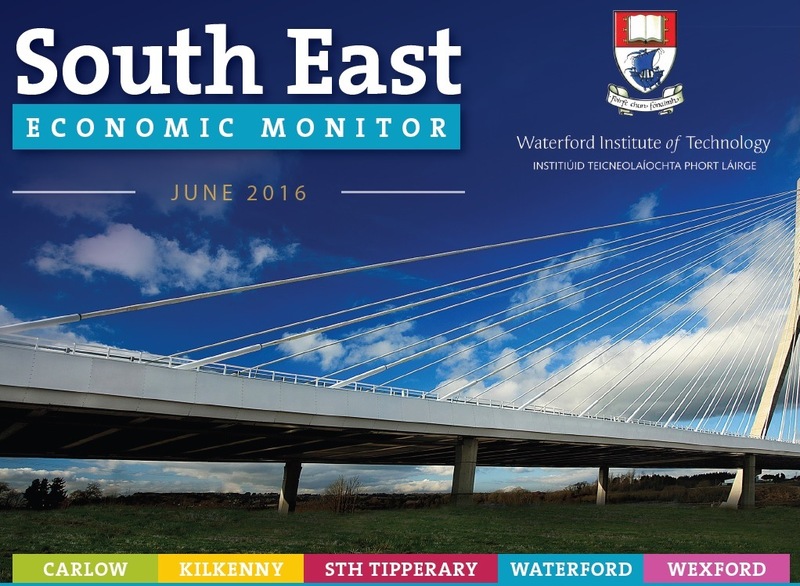 The South East Economic Monitor is produced by WIT School of Business lecturer’s Dr Cormac O’Keeffe and Dr Ray Griffin; as part of a joint initiative of the WIT AIB Centre for Business & Finance Research and the WIT Centre for Enterprise Development & Regional Economy. To download a copy of the South East Economic Monitor click here. For more information on course at the WIT School of Business click here.